Headway East London is a charity supporting people who have been affected by brain injury. The charity offers specialist services and support to brain injury survivors and to their families and carers across North East London. There are many different causes of brain injury and the effects can be complex and life-changing. The services provided at Headway East London are designed to suit each individual’s circumstances, needs and goals. I am a trustee on the board of directors for the charity, which offers a variety of therapy and services to survivors of brain injury. As a trustee, my responsibilities involve making decisions as to how the charity is run with the aim of making a positive difference to the members who use the services and to the organisation as a whole. My role as a trustee for the charity compliments the work that I do as a specialist lawyer in serious brain injury claims. As a partner and head of the personal injury team at Bolt Burdon Kemp, I work closely with clients who have suffered brain injuries and their families on a daily basis. I see firsthand the overwhelming long-term effects of such a life-changing injury which can impact on every aspect of day to day life. As a lawyer, my work involves making sure that my clients receive the compensation that they need to ensure their futures are financially safeguarded as best as possible. However, it is not just about the money. The importance of rehabilitation is vital to help injured people regain the closest possible level of physical and mental ability which they possessed prior to being injured. I am passionate about rehabilitation and ensuring that my clients have immediate and ongoing access to rehabilitation, therapy and support so that they can lead fulfilled lives, as far as possible. Marilene Antoni displaying a picture produced by a member. It is not uncommon for brain injury survivors to feel excluded from society due to their injury, for a multitude of reasons. Sadly, this is something I frequently hear from my clients. Headway House is the hub of Headway East London. It is a day centre where friendly staff and volunteers create opportunities for brain injury survivors to make the most of their abilities and skills. In addition to the variety of neurological therapy and support services offered at Headway House by skilled individuals, it provides a wonderful community where members can attend and feel part of, and can choose to take part in a variety of activities. These occupational projects include an art studio, writing projects and a professional kitchen where members cook every day for other members, volunteers and staff. At my latest visit, I was fortunate enough to spend the day at the art studio. It is truly a magnificent place. It was a fantastic day and I had the opportunity to meet some inspirational individuals producing some amazing pieces of art. I also got the chance to get my hands dirty and get stuck in with some painting and sculpture-making with some of the members which was brilliant! The studio is all about creativity where members are given the freedom to work individually or collaboratively. It is a relaxed environment which facilitates expression that might otherwise remain trapped or unexplored. Suffering a brain injury can lead to individuals losing previous abilities, so discovering a new skill or hobby can create great confidence in members. 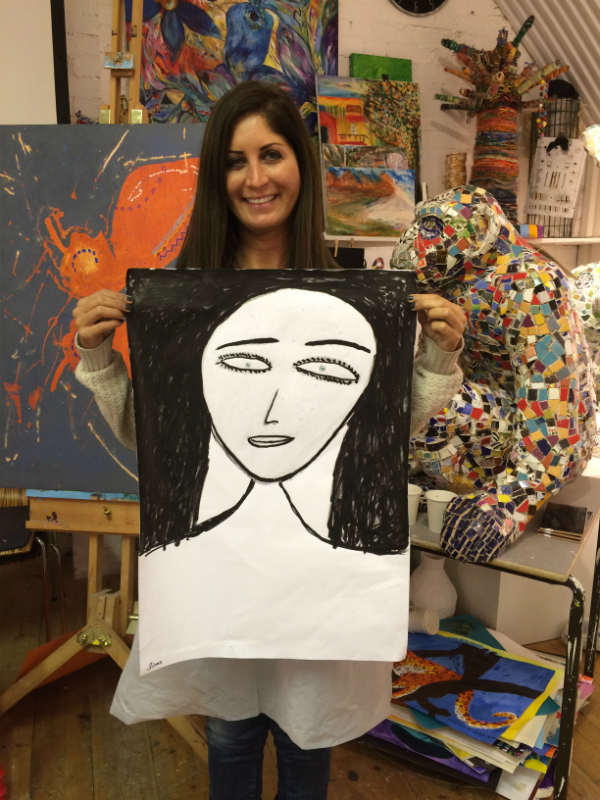 Michelle, a member of staff at Headway East London, who is an artist herself, provides invaluable support to members to help them explore and expand their artistic skills. I am proud to be part of such an amazing charity which makes such a positive difference to people’s lives, and Bolt Burdon Kemp has also been a devoted supporter of Headway East London for many years. Our specialist and dedicated team of lawyers have the experience of working with survivors of brain injury. We understand the challenges and long term effects faced by our clients and their families following an acquired brain injury. We passionately believe that our clients deserve the highest level of medical care, early rehabilitation and specialist support to meet their individual needs. As a leading national law firm specialising in serious life-changing injury claims, we understand the hugely important role that charities, such as Headway East London, provide for injured people who need support and therapy services to achieve the best quality of life they can. If you or a loved one has suffered a brain injury as a result of someone else’s negligence, contact us in confidence on 020 7288 4800 or at MedicalNegligence@boltburdonkemp.co.uk for specialist legal advice. Alternatively, you can complete this form and one of the solicitors in the Personal Injury team will contact you. You can find out more about the Accident Claims team.